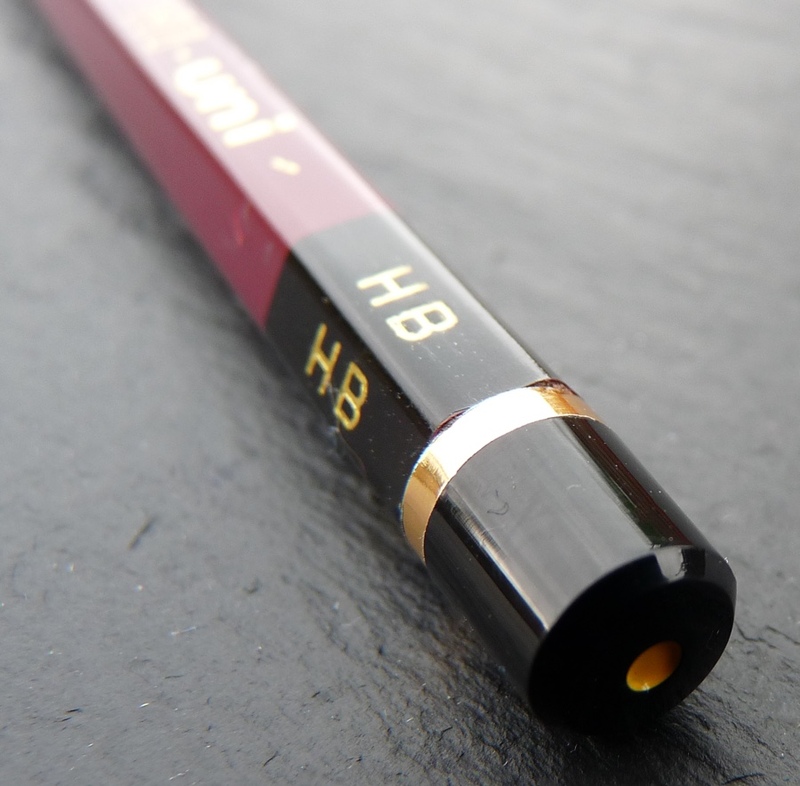 Mitsu-bishi Hi-Uni HB Pencil Review – Pens! Paper! Pencils! 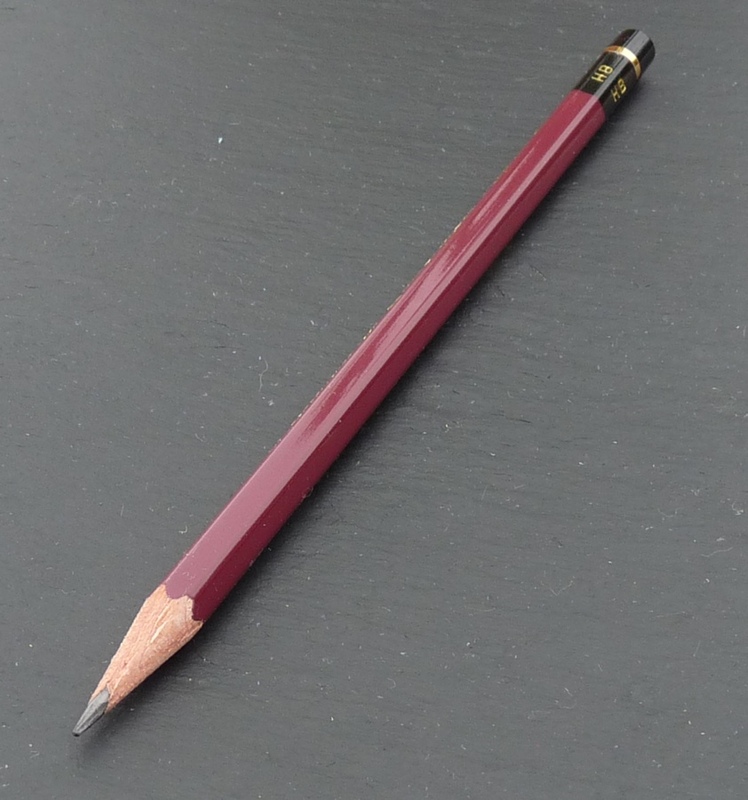 The Mitsu-bishi Hi-Uni is a wooden pencil available in grades from 10B to 10H, including F. It costs about £2.40 in the UK and about $2.50 in the USA. It isn’t available with an eraser. The barrel is made from cedar and is wonderful. It has that gorgeous cedar aroma and it sharpens easily and neatly. It’s a soft hexagonal shape that’s comfortable to hold. The finish is really high quality: thick glossy paint, maroon for the bulk of the pencil, changing to black after a gold ring near the end. This change also signals a change from a hexagonal to a circular cross-section. There’s a neat little indented yellow dot on the end. The quality of the finish is let down slightly by the ubiquitous barcode and slightly inconsistent gold lettering. The overall impression, however, is one of quality and care. The only pencil I’ve found, to date, with a similar quality of finish is the Tombow Mono 100. The Tombow Mono 100 is also the only pencil that comes close in terms of lead quality. I think the Hi-Uni just edges out the Tombow in terms of smoothness but there’s hardly anything in it. The lead is dark, shades beautifully, is incredibly smooth and holds its point well. 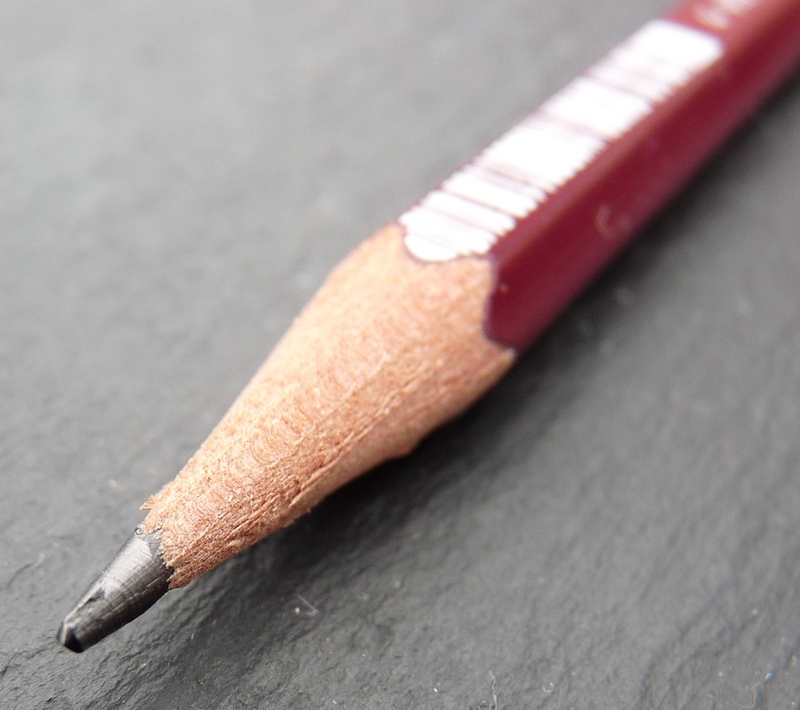 The Mistu-bishi Hi-Uni is an incredibly good pencil. The finish is wonderful and the lead sublime. It’s probably the highest quality pencil I’ve tried. I rate the Tombow Mono 100 slightly higher only because there’s virtually nothing to separate them in terms of quality but the Hi-Uni costs about 30% more. You can find some more reviews of the Hi-Uni on Pennaquod. 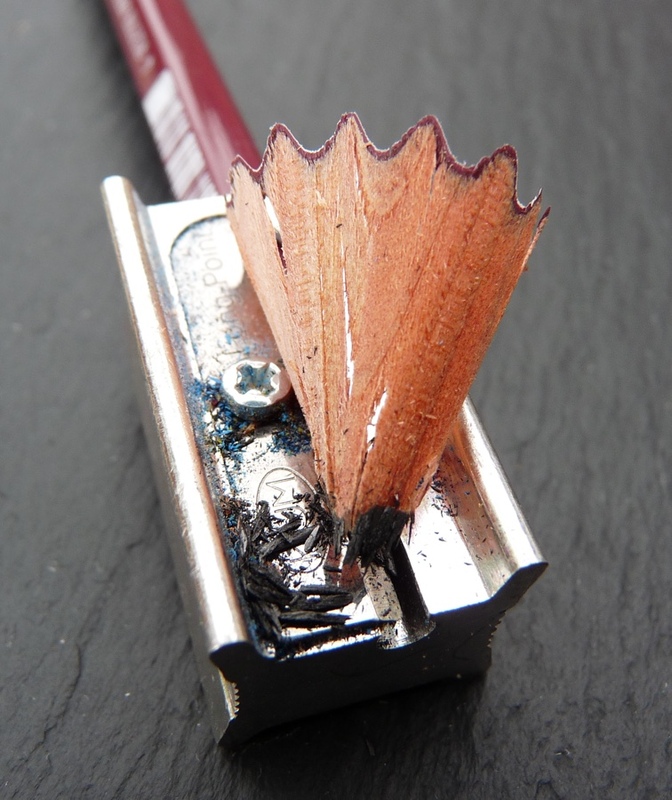 Note: I reviewed the 2B version of this pencil here. 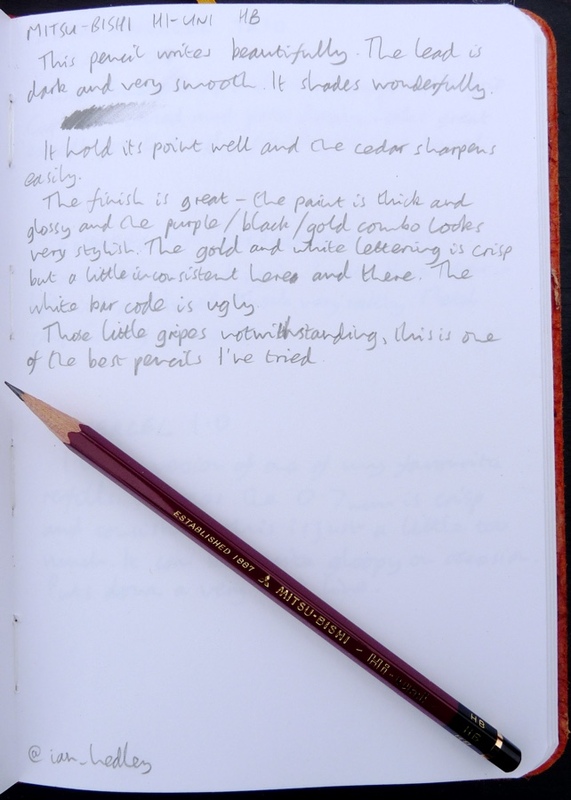 For consistency, I’m sticking to reviewing just HB versions of pencils, where they are available, and so, because this is such an utterly fantastic pencil, I wanted to take another look at it. These pencils are pure joy, after reading your initial review I purchased my first full set, and within a week purchased a second set to be safe 🙂 I like the Tombows just as much, so it’s enjoyable to switch between the two brands every so often to experience the subtle differences in character. They are lovely aren’t they. I should get a full set for sketching, too. I mostly use the HB for writing and the 10B to make things black… I haven’t written a review yet but another that’s worth looking at is the Staedtler Mars Lumograph. They are almost as good as the Monos and Hi-Unis but much cheaper (at least here in the UK they are).